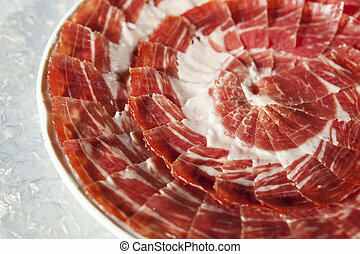 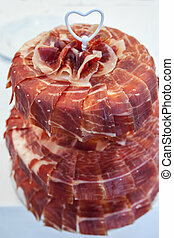 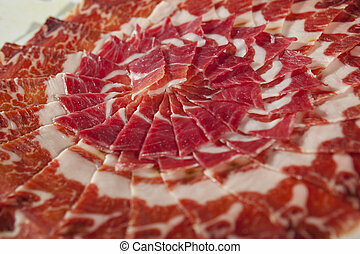 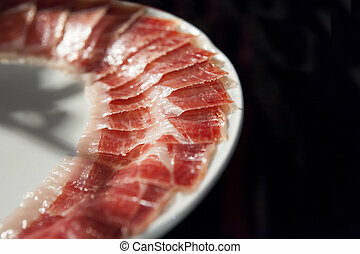 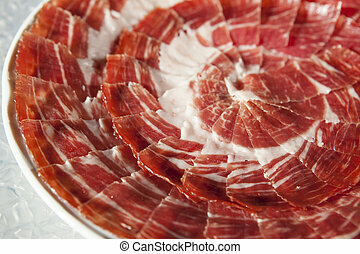 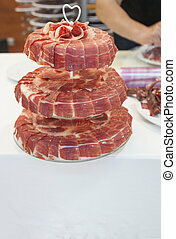 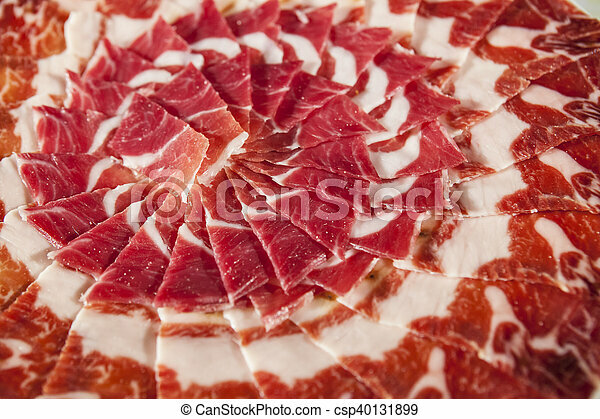 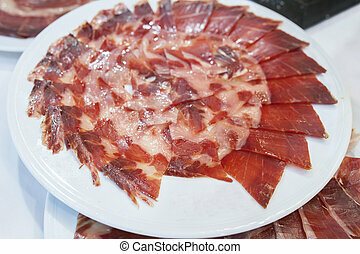 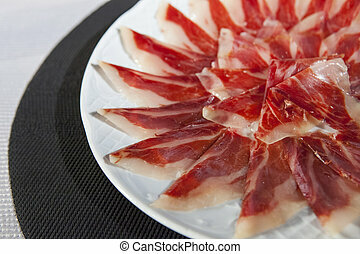 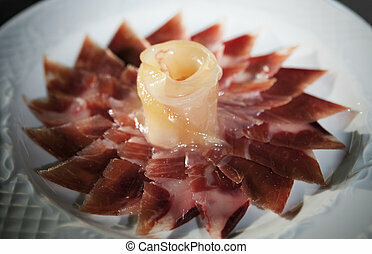 Circular decorative arrangement of iberian cured ham on plate. 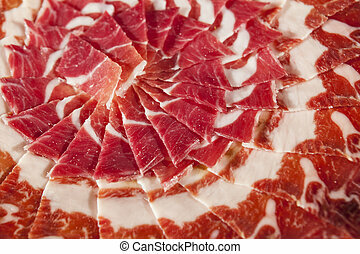 selective focus point. 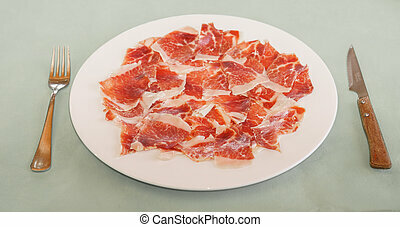 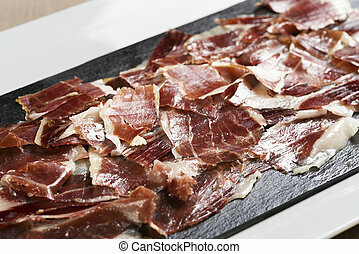 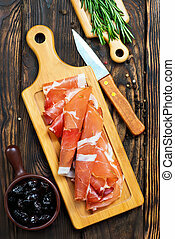 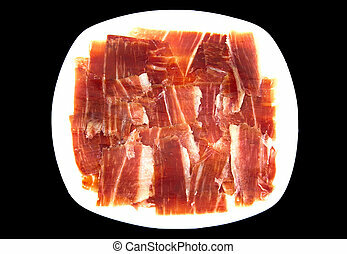 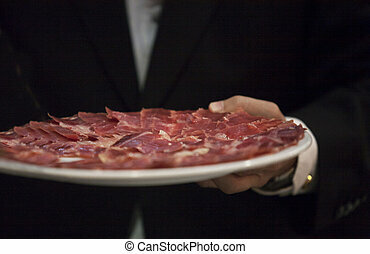 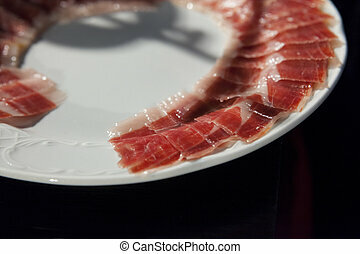 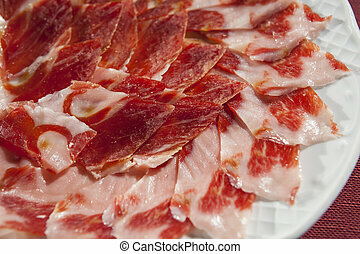 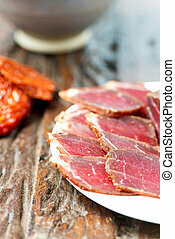 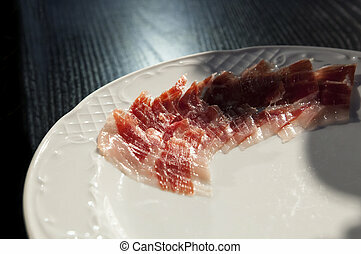 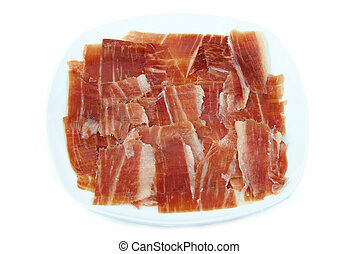 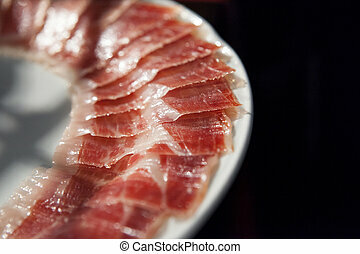 Plate of a iberian ham, Pata Negra, on a modern plate. 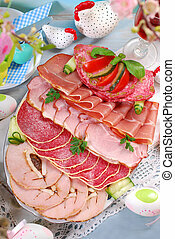 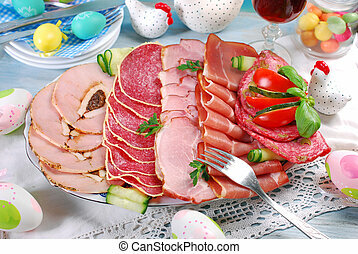 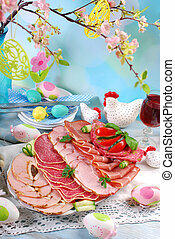 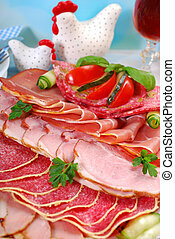 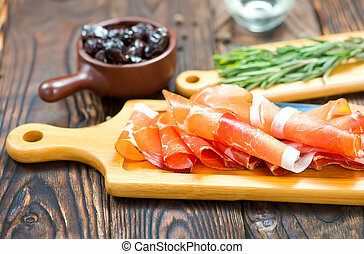 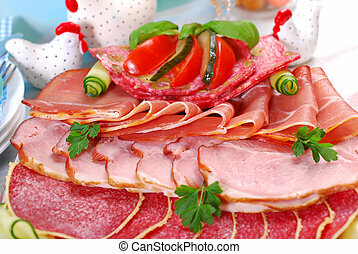 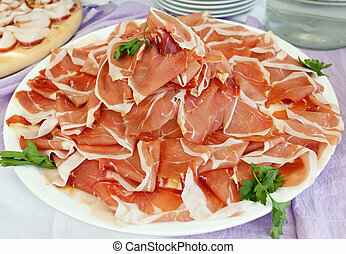 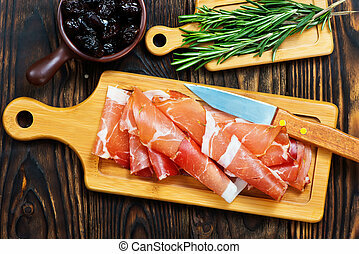 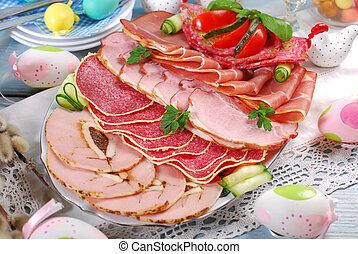 Plate with slices of ham on buffet table.